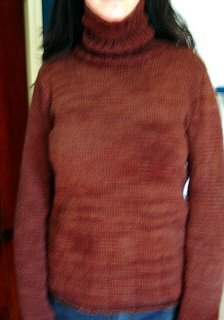 Eldest Daughter and I couldn't find a pattern that had everything, so we created our own with the help of the very handy Sweater Wizard. 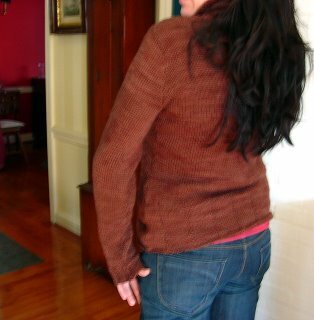 Lion and Lamb is absolutely a delight to work with and the color is a rich chocolate brown with hand dyed variations. Delicious!